I was hurrying through a thrift store one Saturday morning, the kind that only opens on a Saturday so it's the closest thing that Sweden has to a Walmart Black Friday stampede. 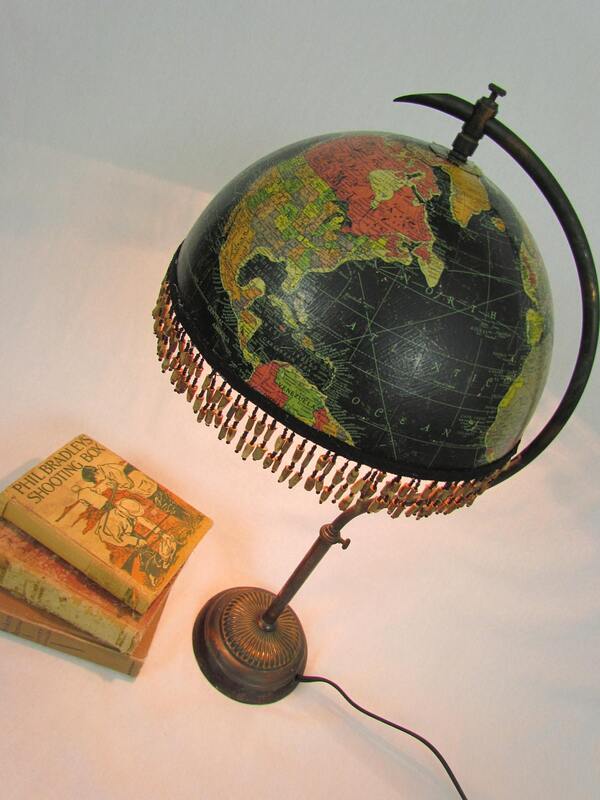 I remember spotting an old vintage globe. But I didn't even look at the price. After all, what would I do with it? 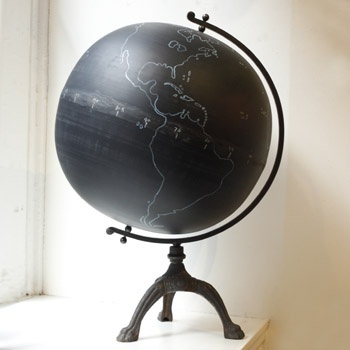 And then literally within the week I saw this recycled globe art from Beth at Patina White...and I've been kicking myself ever since! 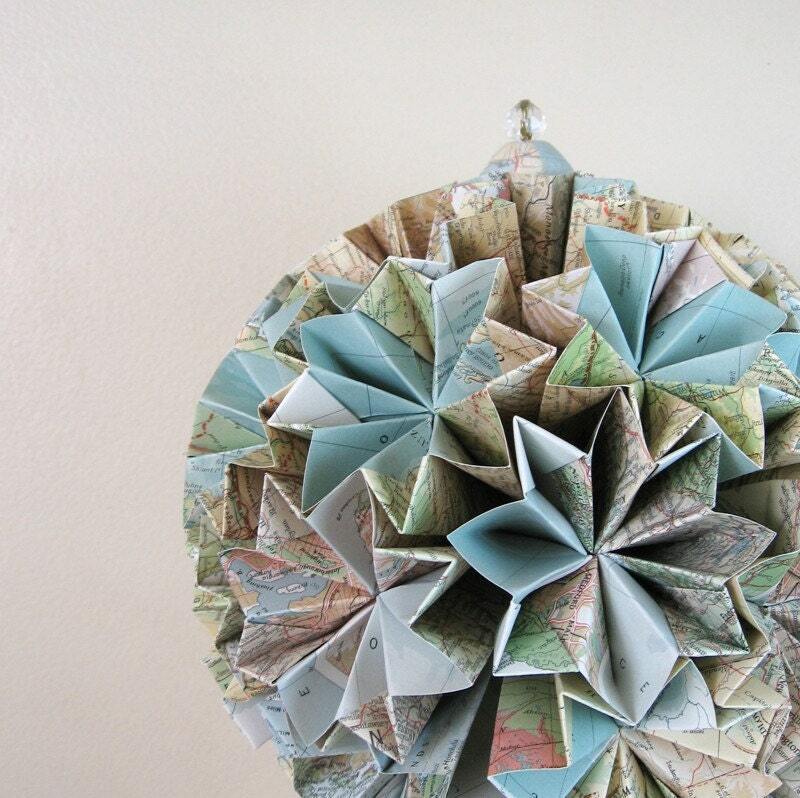 So, to honor those of you who have an extra globe sitting around, I've gathered a little bit of inspiration for your DIY habit...beginning with Beth's globe art. 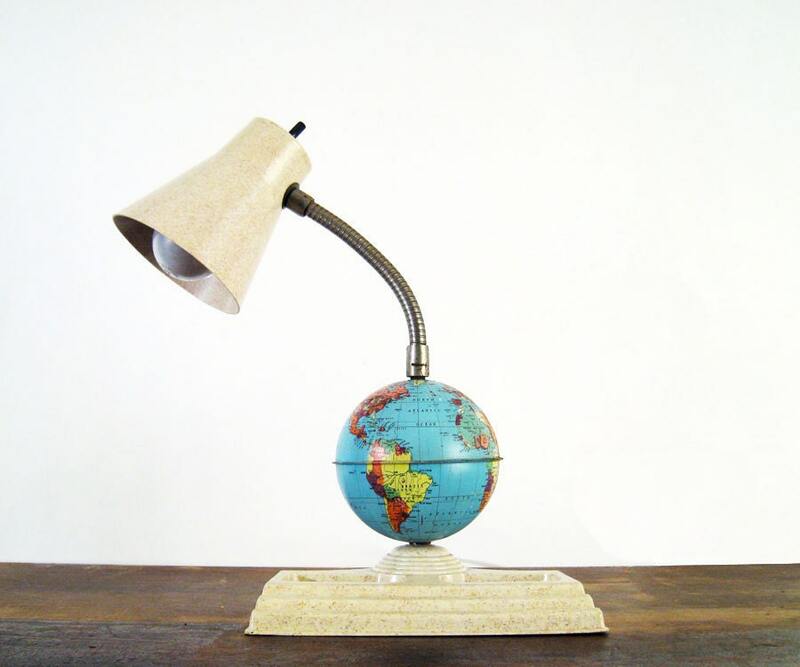 No, that last one wasn't an actual globe...but it was just too cute not to share. Same thing with this one below. And where can I find one of these? 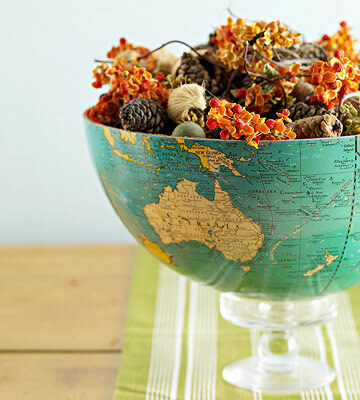 I hope this has inspired you to do a little globe-al recycling at your place. My favorite is still Beth's piece at the very beginning. What's yours? 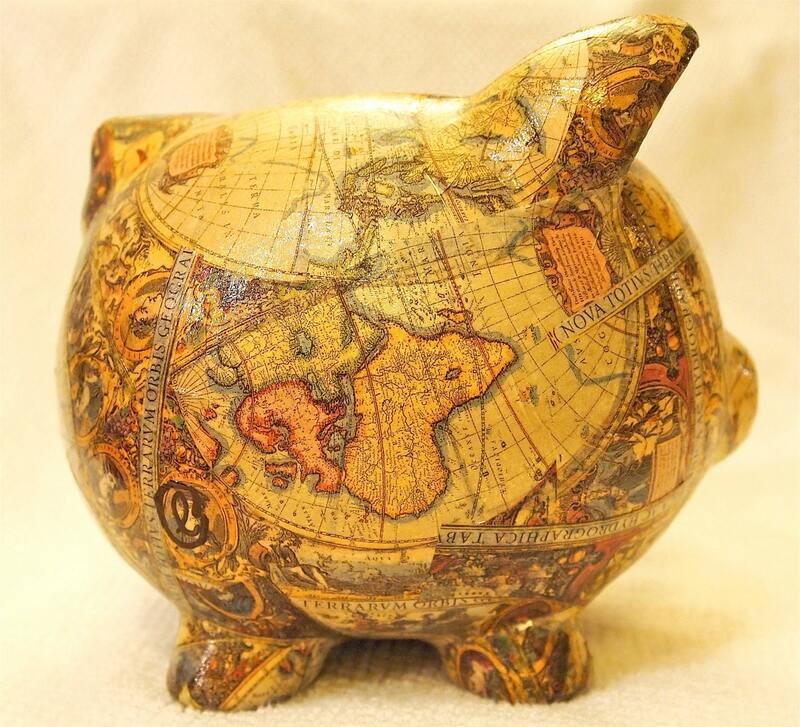 What an amazing selection of globe art! 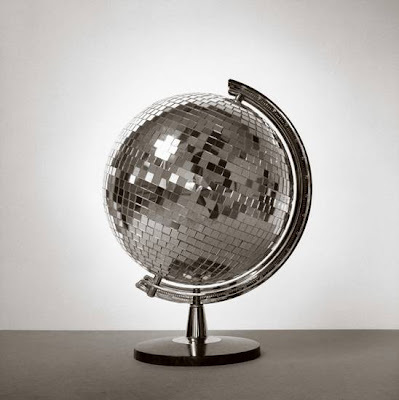 Love the disco ball one! and that clock is awesome! Yup, the disco globe is my fave too! 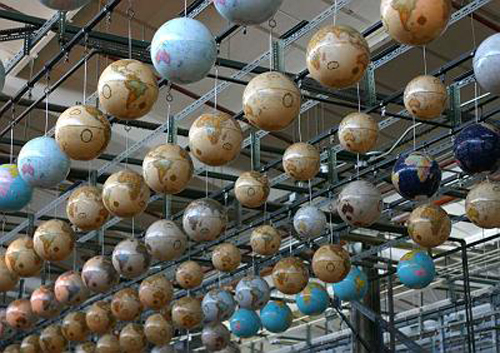 They're all great ideas...must..find...globes...! I now know what I'll be looking for when I go to my local thrift stores. people are amazing!! I am continually surprised, delighted and inspired! Wow wicked! Love it! Especially the chandelier. Wish i was that creative! So many great ideas! 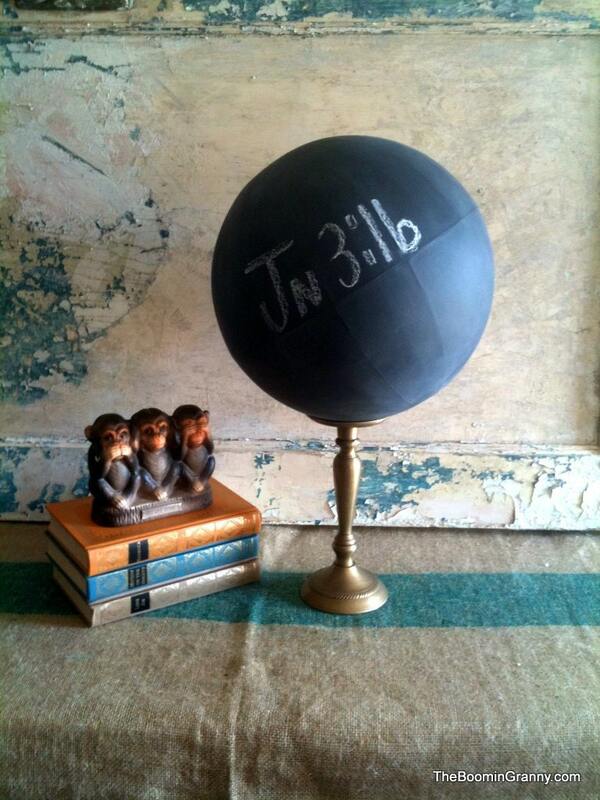 I have a globe down in the basement waiting for a new life . . . maybe it will be one of these! Bonjour, j'adore votre blog. Merci pour ce rassemblement de récup. Visitez également ce lien http://monsieurecup.blogspot.com/ see you soon. Thanks, Brooke! 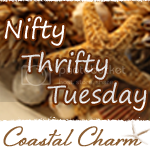 And I grabbed a 'featured' button for my blog. 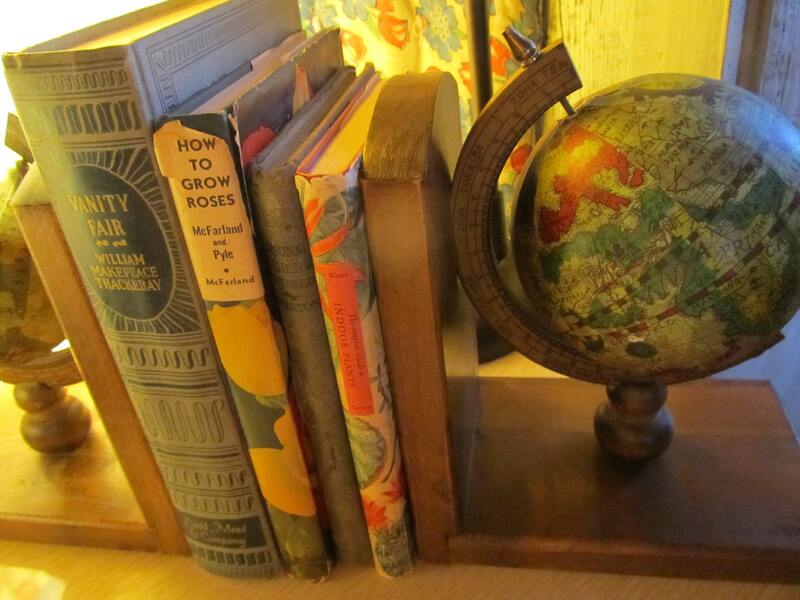 I've always loved maps and globes, but wow, this is a SUPER SUPER assortment to play with! Thank you for sharing with us! Toodie - Have fun with the play! 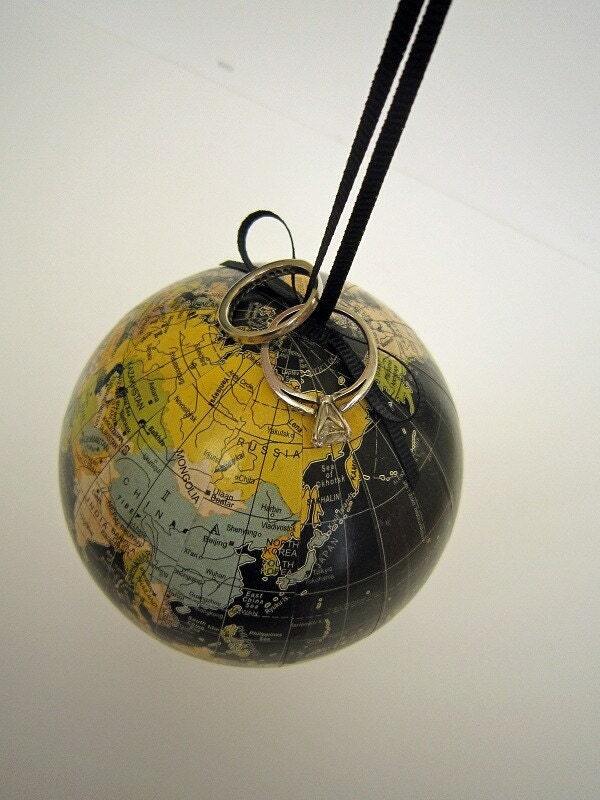 And come back to share if you create something globe-al. WOW, this is a fabulous post. 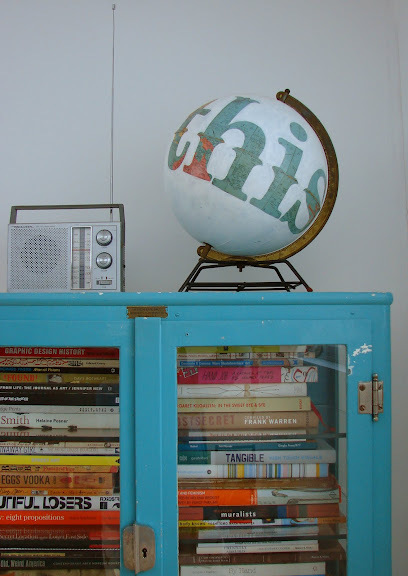 I was just thinking about my old globe and how to repurpose it! Thanks! Irena and Ingunn - glad you found me, so that I could also find you. Got you plugged in on Bloglovin'. We're going to be starting up some recycled/repurposed arts and crafts workshops in the Gothenburg area - so maybe you can keep an eye out to help us talk about it when we get them going. In love and so inspired !!! 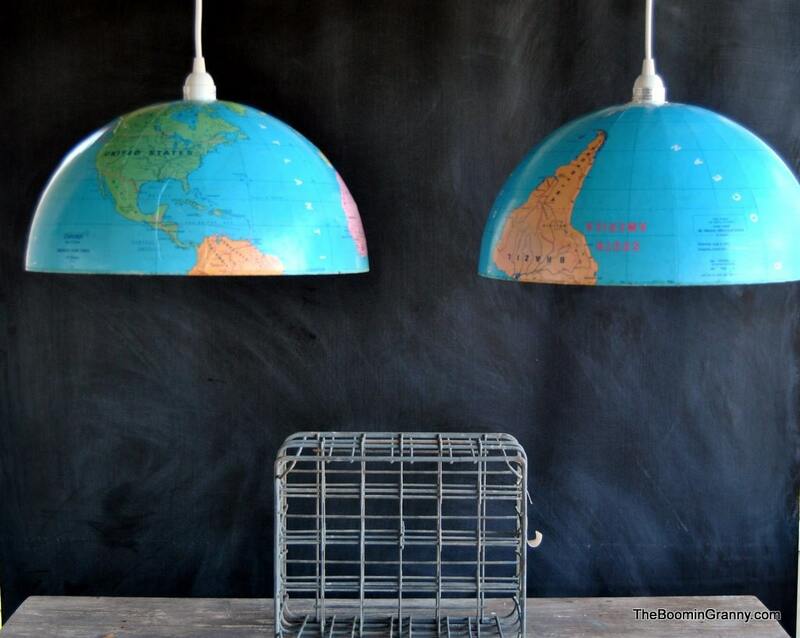 The globes are lovable, arent' they? 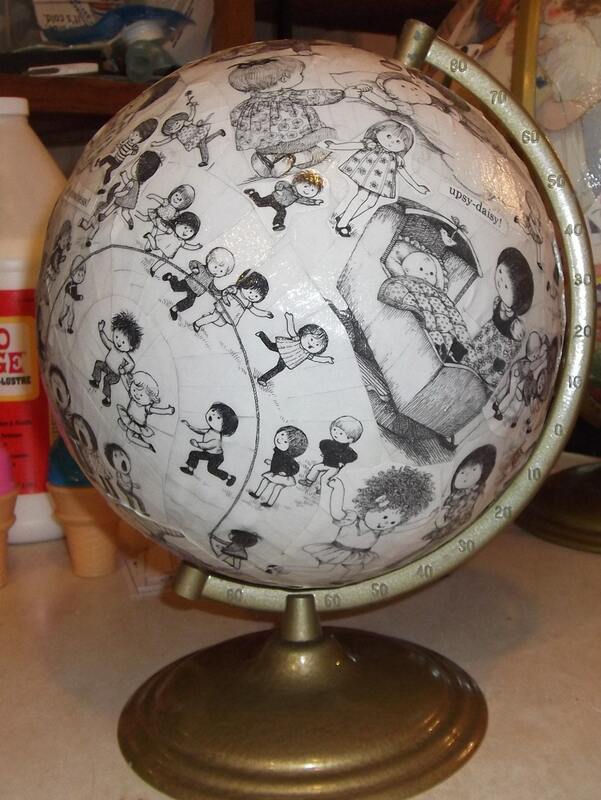 How fun to find your blog on this; I have my own series of globe art which I'm having a ball with! My blog has a globe I redid on it with scrapbook paper and my cricut. www.sexylexiskoolkrafts.blogspot.com check it out!!! It looks like most of these are copyrighted images, which means legally you have to get permission to distribute the image, even if credit is given. I bet that is really, really time consuming getting permission from so many sources for all these posts of yours!! Greetings! I've been following your blog for a while now and finally got the courage to go ahead and give you a shout out from Humble Texas! Just wanted to mention keep up the great job! I am not sure where you're getting your information, but good topic. I needs to spend some time learning much more or understanding more. Thanks for wonderful info I was looking for this info for my mission. Link exchange is nothing else but it is simply placing the other person's webpage link on your page at proper place and other person will also do same in favor of you. If you're interested feel free to send me an email. I look forward to hearing from you! Terrific blog by the way! well written article. I'll be sure to bookmark it and return to read more of your useful information. Thanks for the post. I'll certainly comeback. I'd by no means understand. It seems too complex and extremely huge for me. I am looking forward in your subsequent submit, I will try to get the dangle of it! This publish truly made my day. You cann't consider simply how much time I had spent for this information! Thanks! Hello everyone, it's my first visit at this web site, and article is genuinely fruitful in support of me, keep up posting these types of articles or reviews. I'm sending it to some buddies ans also sharing in delicious. And of course, thanks to your effort! never found any interesting article like yours. It's pretty worth enough for me. In my view, if all site owners and bloggers made good content as you did, the net will be a lot more useful than ever before. web site dailly and obtain pleasant facts from here all the time. impressive task and our whole neighborhood will be grateful to you. I'll right away clutch your rss as I can not to find your email subscription hyperlink or e-newsletter service. Do you have any? Please permit me realize so that I may subscribe. Thanks. you provide. It's awesome to come across a blog every once in a while that isn't the same unwanted rehashed material. issues. Whenever I look at your website in Safari, it looks fine but when opening in IE, it's got some overlapping issues. I simply wanted to give you a quick heads up! Besides that, fantastic website! I'll immediately take hold of your rss feed as I can not in finding your e-mail subscription hyperlink or newsletter service. Do you've any? visitors, its really really pleasant piece of writing on building up new web site. why it gives you enhanced quality. don’t want to miss this series. because after whole day working I was so tired and now feeling sound. memory due to that its quality is poor, however this YouTube video has impressive picture features. video with my family as well as including my mates. one can defeat it. Every one upload movies at YouTube after that obtain embed code and post anywhere. that i enjoy to gain knowledge of more and more. improved, so that’s the cause that I am watching this video at at this place. text, if stuff are defined in graphics one can without difficulty be familiar with these. necessary in support of Search engine optimization. I totally got it. Thanks keep it up. thus humorous not only movies but also additional information. web site’s post to be updated regularly. It includes nice stuff. post, so i got clear idea from here. instead of content, its my familiarity, what would you say? this webpage on regular basis to obtain updated from most recent news. found your site on del.icio.us today and really liked it.
. i bookmarked it and will be back to check it out some more later . includes all methods related to that. as a blogging since its Web optimization is nice defined already. Nice post! GA is also my biggest earning. However, it’s not a much. page, for the reason that it is easy to obtain embedded code. Feel free to visit my web page - http://onlinebestvideos.net/read_blog/12524/the-way-to-creating-a-web-site? can without difficulty be familiar with these. to go to see YouTube web page designed for comical videos, since there is much more stuff available. your internet site has 1 in the freshest theme I?? ve came across. It extremely helps make reading your blog significantly easier. visitors. Pleasant work, keep it up. it and perform the practice. my family as well as including my mates. that one can not understand this straightforward piece of writing having with video demo. blog’s posts daily along with a mug of coffee. My web page :: http://www.joozr.com/read_blog/109748/do-you-know-the-different-characteristics-of-the-world-wide-web? sure you will obtain much more from this article regarding Search engine marketing. graphics one can without difficulty be familiar with these. a fastidious feature YouTube video posted at this point.